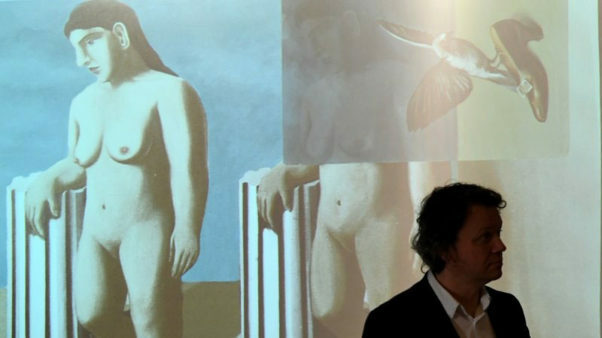 Magritte’s painting “God is not a saint” painted over a part of the painting “La Pose Enchantée”. Photo: Emmanuel Dunand/AFP/Getty Images. 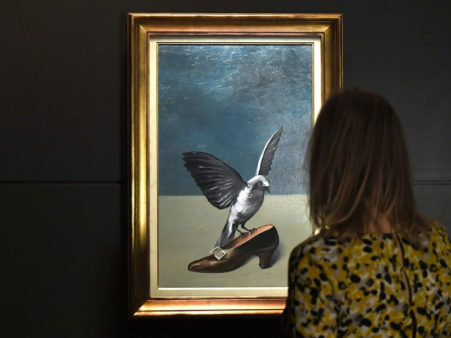 The last missing section of a painting by the Belgian surrealist painter Rene Magritte was found underneath another of his works that is housed in a Brussels’ museum. This is the fourth section of “La Pose Enchantée” painted by Magritte in 1927 and it depicts two women each leaning on a column. The surrealist had destroyed the painting, cut it into sections and between 1935 and 1936 had painted the work “God is not a saint” on the last one. The Royal Museums of Fine Arts of Belgium collaborated with the European Centre of Archeometry at the University of Liege to discover by the technique of radiographic imaging this last missing piece of the puzzle. “The x-rays allowed us to see really what is behind the painting,” David Strivay, a professor at the University of Liege, explained. “It was a surprise, of course, to find the last piece of ‘La Pose Enchantée’ but it is usual to see different processes with this kind of technology,” he added. Magritte cut up his painting “La Pose Enchantée” in 1932 and reused the canvas to paint over it most probably to save money. 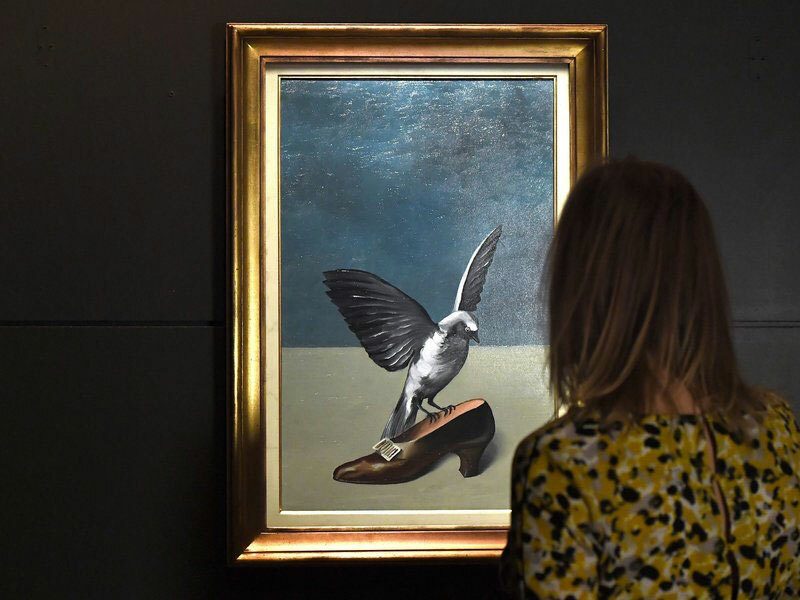 The first piece was found in 2013 under Magritte’s 1935 painting “The Portrait” in the Museum of Modern Art in New York. The other two pieces were found in Stockholm and in the museum of Norwich Castle in Britain. Magritte is “a very important painter of the modern era,” and “It’s really a pleasure to work on his painting and understand how he created it,” Strivay said.